Who is your starting 5 of Rick Pitino players at UofL? My friend Chris Tingley posed this question to me a couple of weeks ago, and it is very interesting and fun to talk about. 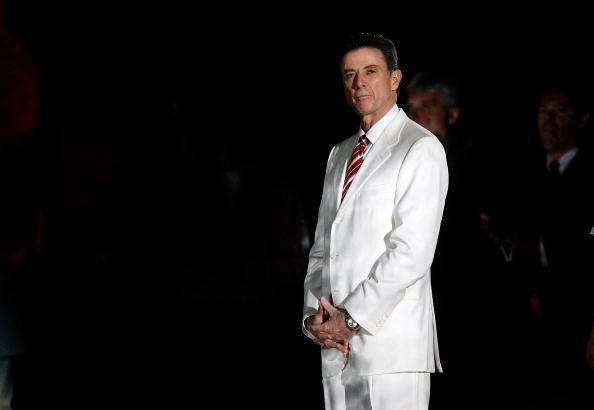 Of all the players that Rick Pitino has coached at the University of Louisville, who would be your starting 5? Now I will say that some players did play multiple positions, and after discussion, we decided to only have each player on 1 poll. So guys like Francisco Garcia, Larry O’Bannon, Ellis Myles, and Samardo Samuels had to be placed in only 1 category, even though we are well aware that those guys (and others) could be on different polls. Please vote for each position. This will run until the end of the week on Thursday night, so that will give us time to get the word out all week and get as many people as possible to vote on this.